We can’t help thinking that director Andy Muschietti must have felt a little star-deprived during the filming last year’s summer blockbuster It; outside of Bill Skarsgård’s Pennywise—and Stranger Things’ Finn Wolfhard—the film’s cast was mostly made up of lesser-known performers, something of a necessity when casting a movie that’s mostly about a crew of heroic kids fighting evil. And while the film’s roster of young actors acquitted themselves perfectly well, both against rampaging murder clowns, and at the box office, we can’t really fault Muschietti for trying to get some bigger names for the franchise’s adult-focused second-installment. 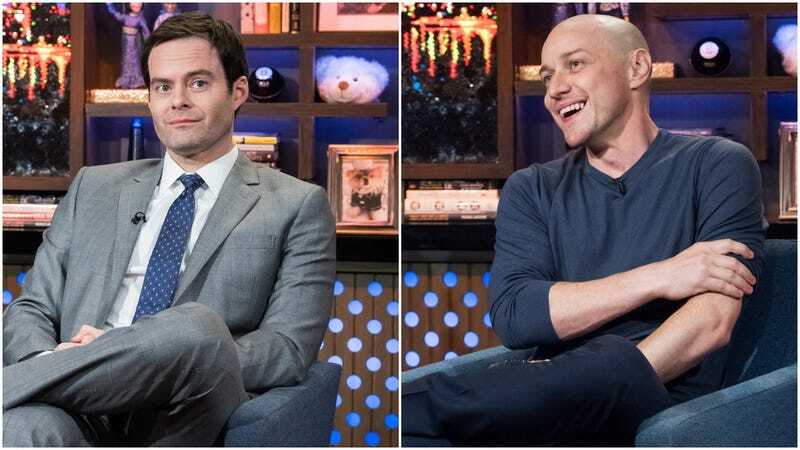 Hence, presumably, a report from Variety today, which states that both Bill Hader and James McAvoy are in talks to sign on to finish out the story of the bad goings-on in Derry, Maine. Hader (who currently stars on HBO’s Barry) is reportedly in talks to play the older version of Wolfhard’s character, fast-mouthed wisecracker Richie, while McAvoy would play the adult form of Loser’s Club leader Bill, who was played by Jaeden Lieberher in the first film. If they sign on, the two men would join an already-confirmed Jessica Chastain, who’s reuniting with her old Mama director Muschietti to play grown-up Beverly Marsh. The first It movie was a massive hit last summer, breaking numerous box office records for American horror films. The second—official title still pending, but fingers crossed that it’ll give us something better to work with than It, Too—is currently scheduled for a September 2019 release.